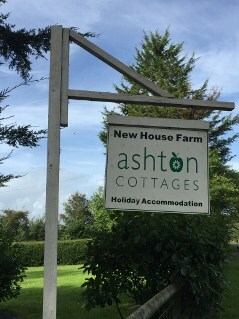 A warm, friendly welcome awaits you and your family at Ashton Holiday Cottages, Somerset. Here at New House Farm we have two holiday cottages converted from a former milking parlour, decorated with style and flair. Set amidst the Mendip Hills and Somerset Levels, with views to the dramatic Cheddar Gorge, Ashton Cottages are a perfect base for exploring Somerset and the beautiful surrounding area it offers. We are situated just one mile from Wedmore village and two miles for Cheddar Gorge and its famous caves. Wedmore is a quaint village steeped in history, dating back to King Alfred the Great. The Village has many small shops ranging from shoes, clothes, antiques, delicatessen, fish monger, butcher, tea rooms, three great pubs and many more. Just to the left of Ashton Holiday Cottages is the village of Cheddar with its dramatic Gorge and Caves. Its also famous for being the origin of the Cheddar Cheese, which has been produced here since the 12th Century. You can stroll up the Gorge visiting the caves, many shops, tea rooms and eateries and even watch the Cheddar Cheese being made. For those seeking a little more excitement or adventure, the Gorge also offers walking, rock climbing, caving or race against the clock in the escape rooms. Other local interests include Wookey Hole Caves, Glastonbury Tor and Abbey ruins, the City of Wells with the world famous Cathedral and Bishop’s Palace, all on the doorstep of our holiday cottages in Somerset. Bath and Bristol are both within easy driving distance too. As is Longleat, Burnham-0n-Sea, Weston -Super-Mare and many other family attractions. Our beautiful area offers superb walking, cycling and wildlife conservations to keep the whole family entertained. Two delightful cottages tastefully renovated and decorated with a country feel with style and flair. Situated amidst the hills and fields overlooking the outstanding Cheddar Gorge, Somerset levels and Mendip Hills.